Greetings from St. Lawrence County! On May 8, the Chair of the NYS Workers’ Compensation Board asked me for a report concerning what would be considered a fair and reasonable amount of remuneration to update the medical fee schedule. This followed an announcement from the Chair in April of her intent to pursue measures to “increase provider participation in the workers’ compensation system and improve injured workers’ access to timely, quality medical care.” Importantly these efforts include a long-overdue fee increase, and a needed simplification in claim submission. At the same time, the announcement also reiterated the Board’s interest in the enactment of legislation to expand the various health care providers who are eligible for participation in Workers Compensation. These recommendations, along with a spreadsheet of fees for Medicare and Workers’ Compensation, for the region of Manhattan only, were shared with the 28 MSSNY physician members of the Workers’ Compensation and No-Fault Insurance Committee for a vote. The Committee members were somewhat evenly divided between 150% of Medicare [with serious hesitation about linking to a federal fee schedule] and plus 5% for the next several years above the current WC fee schedule. Seven voted for 150% of Medicare and nine voted for 5% above the current WC fee schedule. All members agreed that no physician or specialty should be subject to any reduction in the current WC fees. In addition, many members urged that MSSNY seek a larger increase for the Evaluation and Management codes since these E&M codes have long been undervalued under the WC Program. I would like to personally thank Drs. Jay Weiss, Robert Goldberg and the MSSNY Committee on Workers Comp and No Fault Insurance for their hard work. We also had additional discussion with MSSNY leaders who also serve in leadership positions with some of our specialties most affected by the WC system. Thanks to Dr. John Olsewski, Dr. Jim Slaugh, and our MSSNY Vice President, Dr. Bonnie Litvak, for their thoughtful and timely contributions to the discussion. Subsequently, our letter for a Workers’ Compensation Fee Schedule Increase was sent to the Chair of the NYS WCB on Friday, May 25, 2018 – please see this link. Simultaneously, your MSSNY Governmental Affairs staff has also had extensive discussions with legislators and key staff about its concerns with legislation introduced in Albany that would expand the coverage of non-physicians in Workers Compensation, as well as changes to how county medical societies review physician applications to participate in Workers Compensation. MSSNY has also sought to address the problem of carriers inappropriately paying below the Workers Compensation fee schedules. There are many issues in play, so please remain alert for further details. Legislation (S.8812 Akshar / A.8387-A Pretlow) has been recently introduced that would expand the list of eligible providers allowed to treat injured workers. The bill expands eligibility to include acupuncturists, chiropractors, nurse practitioners, physical therapists, physician’s assistants, podiatrists, psychologists and social workers. MSSNY has expressed concerned over the potential involvement of a nurse practitioner in assessing the level of disability, determining causation of a patient’s injury and treating injured workers without the involvement of a physician. The bill would also modify the process of how county medical societies recommend physicians and providers to serve as treating providers or independent medical examiners under Workers Compensation. While there are improvements over previous versions, MSSNY remains very concerned that the phrasing of the proposal would alter the process and authority of how county medical societies recommend physicians to serve as treating providers or independent medical examiners under Workers Compensation. The county medical societies already ensure a timely, efficient and complete approval process of physician applications to the workers compensation board. MSSNY also opposes the provision to delete the requirement of an arbitrator to be a member of MSSNY. 3943 (Hannon)/A.2704 (Lavine) – would provide physicians and other health care practitioners with necessary due process protections where health insurers seek to terminate a physician from its network by failing to renew the physician’s contract. The bill is on the Assembly floor and, this week was reported from the Senate Health Committee to the full Senate. Please send a letter in support here. 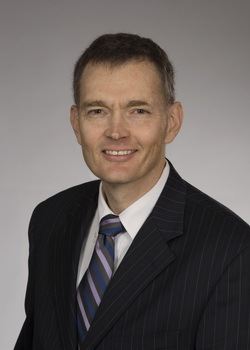 7872 (Hannon)/A.9588 (Gottfried) – would reduce prior authorization hassles by requiring health plan utilization review criteria to be evidence-based and peer reviewed; reducing the time frame for reviewing prior authorization requests from 3 business days to 48 hours (and to 24 hours for urgent situations); assuring that a prior authorization, once given, is enduring for the duration of the medication or treatment; prohibiting mid-year prescription formulary changes; and assuring that once a prior authorization is given, it cannot be withdrawn if eligibility is confirmed on the day of the service. Please send a letter to your legislators in support here . The Assembly Health Committee unanimously voted to advance legislation (A.10221-A, Gottfried) to the Ways & Means Committee that would extend for an additional 5 years the continued operations of the MSSNY Committee for Physicians Health (CPH) program. Authorization for several key components of the program expired on March 31, 2018. The identical Senate bill S.8093-A, Hannon), has advanced to the Senate floor. It had been on the Senate “Active List” to be passed this week, but was not brought up for a vote due to debate on an unrelated issue. The CPH is a program designed to confront and assist physicians thought to be suffering from alcoholism, substance abuse or mental illness. Since the inception of this program, CPH has assisted thousands of physicians in returning healthy to medical practice. The work of the CPH program is an important public service both to our health care system as well as the general public. As a result, the State Budget annually includes an appropriation of $990,000 for the program, which is generated from a $30 assessment on all physicians’ biennial registration fees. Frank Dowling, MD, MSSNY Secretary, and a member of American Medical Association’s Task Force on Opioids, recently participated in a Senate round table on naloxone access. The roundtable, conducted by Senator Kemp Hannon, chair of the Senate Health Committee, and the Senate’s Task Force on Heroin and Opioid Addiction, discussed issues related to availability to naloxone throughout the state. Despite legislative efforts allows standing orders for community organizations and pharmacies to distribute Narcan without a prescription; the Good Samaritan protections and the creation of the N-Cap program, Dr. Dowling indicated that he and his office staff have called pharmacies and been told that they cannot sell or dispense Naloxone without a script or that they didn’t have naloxone in stock. Governor Andrew Cuomo has formed a Pain Management Steering Committee to gather recommendations for the appropriate treatment of pain that minimizes the risk of opioid use disorder. Participants were asked to consider the needs of both opioid-naïve patients and patients who are in long term treatment with opioids. The group discussed the current status of opioid prescribing in New York; acute pain prescribing and chronic pain prescribing. Senate Bill 6141D, sponsored by Senator Martin Golden, which would allow the admission certain unvaccinated students to public schools, has passed out of the NYS Senate’s Education Committee and reported to the Senate Finance Committee. The passage of this bill is the first time that this bill has been voted on by members of any Senate committee. S. 6141-D amends the Education Law to provide the procedure for religious exemptions from vaccination requirements. Under the bill, a parent or guardian would complete a religious beliefs vaccination exemption form to ensure a public school district does not deny admission to their unvaccinated child. A religious exemption is currently allowable under NY State law, but the exemption allows the school institution to make a decision on whether the student should be exempt from vaccination. By a 92-5 vote, the United State Senate passed legislation, The VA Mission Act to overhaul medical care options for veterans. As the bill previously passed the US House by a 347-70 vote, the bill has been sent to President Trump for his approval. The goal of the $52 billion reform bill is to provide veterans with more access to private doctors and hospitals. The legislation also includes a one-year extension of the Department of Veterans Affairs’ Choice program, which provides access to veterans to be treated by non-VA physicians if they live 40 miles from a facility or need to wait for than 30 days for an appointment. The Choice program was scheduled to run out of money at the end of the month. As with the previous Choice Act, care would be paid for at the Medicare fee schedule, but the VA would have some flexibility to adjust the schedule for rural areas. The legislation mandates prompt payment for providers: 30 days for electronic claims and 45 days for paper claims. The distance between the veteran and the facility that provides the care or services the veteran needs. The nature of the care or services required. The frequency that care or services needs to be furnished. 91% of all clinicians eligible for the Medicare Merit-Based Payment Incentive System (MIPS) participated in the first year of the Quality Payment Program, according to a blog post this week from CMS Administrator Seema Verma (click here.) The post also noted that the submission rates for Accountable Care Organizations and clinicians in rural practices were at 98 % and 94%, respectively. The post also noted that the CMS free technical assistance received a 99.8% customer satisfaction rating by over 200,000 clinicians and practice managers. The post also noted efforts to reduce administrative burdens for physicians. Specifically, she noted that CMS “reviewed many of the MIPS requirements and developed policies for 2018 that continue to reduce burden, add flexibility, and help clinicians spend less time on unnecessary requirements and more time with patients. The Medical Society of the State of New York encourages you to register for its free Medical Matters Continuing Medical Education (CME) webinar on June 20th at 12:30pm. Participation in this webinar will earn physicians one CME credit free of charge. The Medical Society of the State of New York designates each of these live activities for a maximum of 1.0 AMA/PRA Category 1 credits™. Physicians should claim only the credit commensurate with the extent of their participation in the activity. On January 1, 2018, the nation’s strongest and most comprehensive Paid Family Leave took effect. Millions of New Yorkers are now eligible for job-protected, paid time off to bond with a newly born, adopted, or fostered child, care for a family member with a serious health condition, or assist loved ones when a family member is deployed abroad on active military service. As a health care provider, you play a critical role in certifying medical documentation in a timely manner and raising awareness of Paid Family Leave among your patients and their families. This presentation will provide an overview of Paid Family Leave and health care providers’ role in the process, and point you to some helpful resources. There will be time at the end for questions and answers as well. Space is limited, so please register soon. When you click ‘Register here’, you will be taken to a general information page. You must click ‘Register’ on the bottom of that page to sign up. Complete details on Paid Family Leave are available at ny.gov/PaidFamilyLeave, including request forms and downloadable guides specifically for health care providers. You can also call the Paid Family Leave Helpline at (844) 337-6303, Monday through Friday, 8:30 a.m. – 4:30 p.m. for more information or assistance. The Board has received a number of inquiries associated with Subject Number 046-1067, specifically related to the timing of the implementation of forms associated with Schedule Loss of Use evaluations. We understand that the new forms may take some time to implement due to programming requirements. However, the guidelines are not new and the associated requirements were released and effective 1/1/18. Until such time that users can get the new forms programmed into their systems, all required elements should be captured on the existing forms and/or included in the submitted narrative. As you are aware, new paper forms are available for use now and have been posted on the Board’s website. The revised electronic C4.3 should be available by mid-July. We ask that all users totally transition to and utilize the new forms by mid-July. Until that time no forms will be precluded as long as all the required elements are either included on the forms and/or incorporated into the narrative. ANOTHER REASON TO JOIN MSSNY! Your practice may have encountered significant problems relating to Amerigroup’s processing of claims. As a result of a report given to MSSNY, their Division of Socio-Medical Economic Affairs Division began discussions with Amerigroup regarding difficulties and delays in processing claims and reimbursement issues. policy on ultrasounds, non-OB ultrasounds and delivery denials. One of our member groups has had all denials reversed and remitted! Amerigroup has confirmed that coding updates have been completed to add certain diagnoses in the Z36 series to the policy. Policy is being reviewed. Amerigroup expects to have an update next week. We will keep you informed! Amerigroup has reversed its denials of outstanding delivery claims (denied for “maximum benefit met”). This is an example of our members’ dues at work! For membership information, please contact Eunice Skelly at 516-488-6100 ext 389. High use of hydrochlorothiazide is associated with increased risk for melanoma, according to a research letter in JAMA Internal Medicine. Using national registry data, Danish researchers matched 19,000 adults with melanoma to 190,000 controls without melanoma. Roughly 2.1% of cases and 1.8% of controls had high cumulative use of hydrochlorothiazide (50,000 mg or more). After multivariable adjustment, high hydrochlorothiazide use was associated with significantly increased risk for melanoma (odds ratio, 1.22), as was ever-use of the drug (OR, 1.17). However, there did not appear to be a dose-response relationship. Risks were elevated for lentigo and nodular melanomas. Other antihypertensive medications studied didn’t seem to pose an increased risk. The New York State DOH, with support from the Centers for Medicare & Medicaid Services, established the Data Exchange Incentive Program (DEIP) to increase health information exchange (HIE) adoption across the state by building electronic health record (EHR) interfaces to New York State’s HIE, the Statewide Health Information Network for New York (SHIN-NY). The SHIN-NY connects eight regional networks, or Qualified Entities (QEs), and participating organizations are incentivized to contribute a pre-defined set of data elements to the SHIN-NY through a QE. In late April, the Centers for Medicare & Medicaid Services (CMS) released proposed changes and a request for stakeholder feedback to the Medicare and Medicaid Electronic Health Record (EHR) Incentive Programs. The proposed changes reflect CMS’s focus on interoperability, patient data access, and system-wide health information exchange. As a part of this effort, CMS has renamed the program, also known as Meaningful Use, to the Promoting Interoperability (PI) Programs. In this proposed change, CMS is suggesting updates to payment, scoring, and measurement policies to reduce administrative burden and move beyond the three stages of Meaningful Use. The proposed changes will initially be applied to hospitals and critical access hospitals participating in the Medicare Program. CMS is seeking feedback on if the proposed changes should also apply to eligible professionals and hospitals that only participate in the Medicaid Program. CMS is seeking additional input on the proposed rule, specifically asking for ways to further promote interoperability. Terms are available. The clinic’s market consists of Manhattan, Bronx, Brooklyn and Queens Counties. 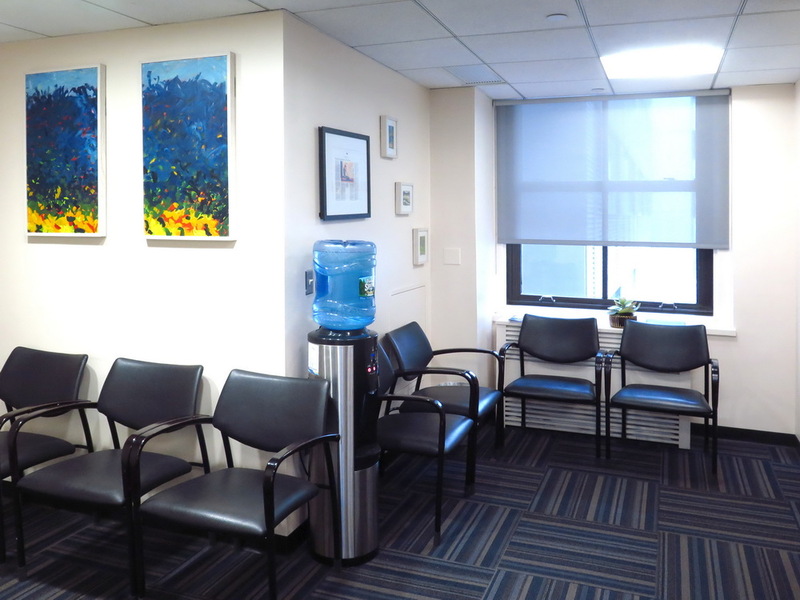 The 25 clinician practice specializes in group, women’s and psycho-educational therapy as well as parenting groups, court mandated services, domestic violence victims groups, anger management and supervised visitation programs. There are 250+ weekly patients and the business accepts most insurances. Buyer must be a NYS licensed physician, NYS licensed mental health consultant, NYS licensed social worker, psychologist or PhD. The owner is retiring. 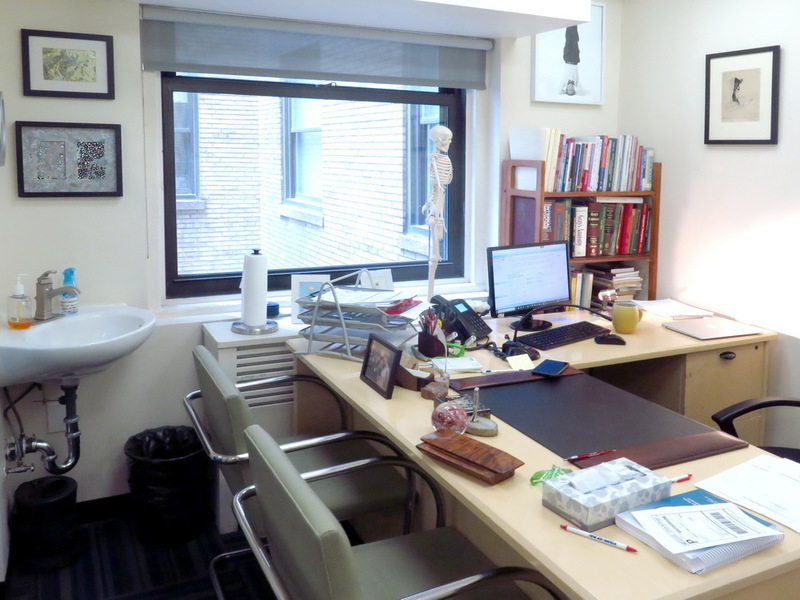 Thriving Internal Medicine Practice for Sale by the Physician. Has been growing exponentially, with number of patients doubling over last two years. Well established location at street level, with dedicated handicap entrance, easy access to public transportation, a parking lot and within one mile from all three leading local hospitals. 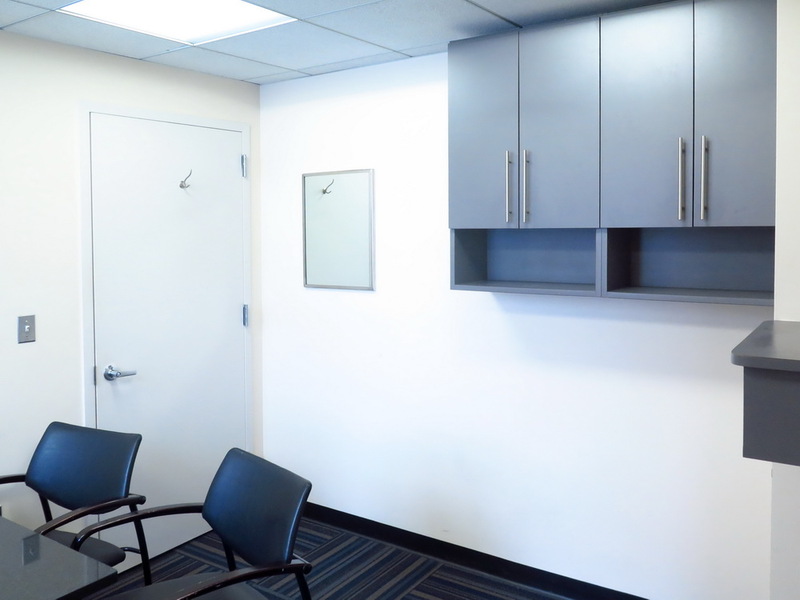 One to three exam rooms, consult/private office and procedure room for full or part time use. Elegant, modern and spacious secretarial, waiting and two exam rooms. Accredited operating rooms and recovery rooms on site. One block to bus and 20 feet to subways. 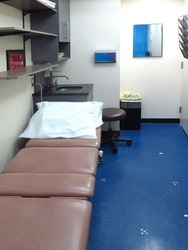 $1275-$3750/day monthly for one to three exam rooms. Private Multidisciplinary Medical Group Seeking Full Time or Part Time Podiatrist and Full Time or Part Time Internal Medicine/Family Practice/Allergy & Immunology Physicians. Midtown, Union Square & Lower Manhattan locations. Attractive base salary plus comprehensive benefits package. E-mail CV to tsrgexpress@gmail.com. No recruiters please.